Description:This is a top notch example of the 32 pounder solid shot. Had I not found a good example I would put this in my collection. The iron is very good being very smooth on one side. And this smooth side also happens to have a very distinct mold seam. 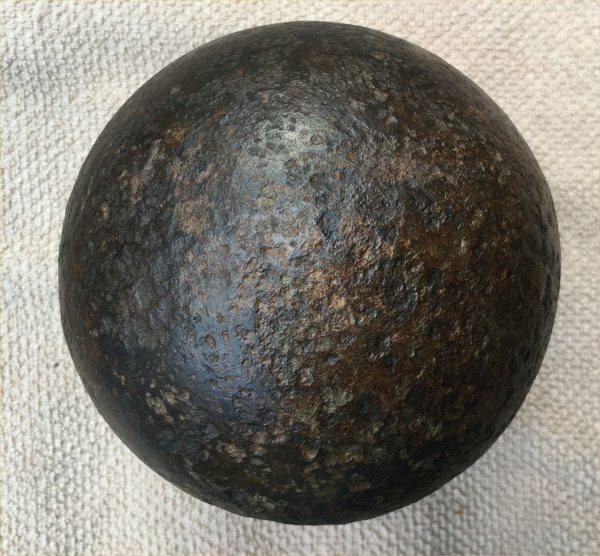 There is no doubt this ball is a cannon ball as it is wrought iron and has such a good seam with weight and size being correct. It has only been hand cleaned but looks very good. Electrolysis would clean it up a bit more and give it that dark even color. 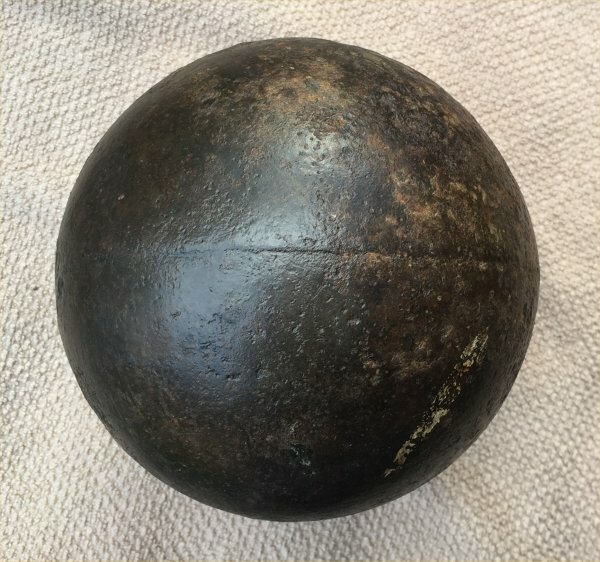 A nice battlefield found specimen for your collection.